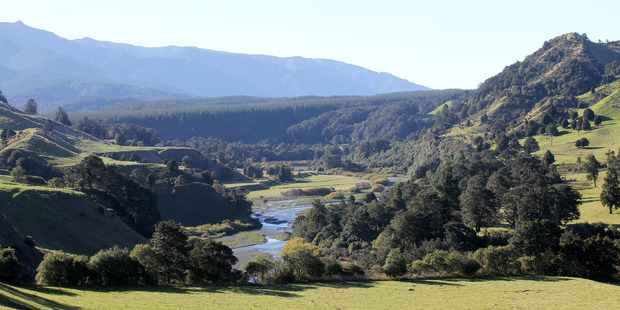 The site of the proposed Ruataniwha Dam, on the Makaroro River. After five years and $14 million, the Hawke's Bay regional council voted at its August 30 meeting to shelve the project. Hawke's Bay Regional Council voted at its full meeting last month to "move on" from the Ruataniwha Water Storage Scheme after five years of controversy. The $330 million irrigation project would have been the largest in the country, building a 7km long dam to provide a secure water supply, particularly for landowners on the drought-prone Ruataniwha Plains. The regional council had pledged to invest $80 million of ratepayers money, subject to certain conditions being met. But after years of debate about the environmental impact of the dam and its financial viability - and a Supreme Court decision in July which ruled a land swap deal needed for the project to go ahead was unlawful - the council officially withdrew its financial support for the project at the meeting. Supporters have suggested the dam could be revisited down the track, though perhaps not by the council, but environmentalists have vowed to fight any future attempt to revive the large-scale water storage project. During the meeting, council chief executive James Palmer said there were "significant impediments" to the scheme going forward. Mr Palmer told councillors the move signalled the end of the road, in terms of the council's financial support for the scheme. Central Hawke's Bay councillor Debbie Hewitt said it was a sad day, noting without the RWSS there would be many losses from its promised environmental benefits, to a loss of production in Hawke's Bay's primary and horticulture sectors. "We've lost employment opportunities that the region is desperately screaming out for. We've lost the opportunity to have containers going through the port in increasing volumes." She was optimistic the project would still go ahead in some form, "and it's going to be probably far better off without council being a cornerstone investor, in terms of getting on and the project being a success". The scheme could proceed if a private investor aligned with HBRIC. Council authorised the company to sell any intellectual property developed to date in connection with the scheme. The decision did not come as a surprise. The tide had been turning against the scheme for some time, with the majority of those now around the council table seemingly elected with an anti-dam mandate. After the meeting council chairman Rex Graham said it was a "hollow victory". "I thought it was a really poor use of ratepayers' money," he said. "[But] I very much sympathise with the farmers." For farmers, the council's "gut-wrenching" move raised questions about water security. "In one sense it's a positive to have a definite decision so farmers know where they stand," Federated Farmers' Hawke's Bay provincial president Will Foley said. "I'd like to think it's over in terms of the council's running of it, but hopefully not over for the dam itself." Farmers would be looking for other water supply options. Mr Graham said council would need to re-examine, or revisit the plan. He was not sure what support the council could offer those required to meet Plan Change 6 requirements. Greenpeace said yesterday's move was a "real victory for our rivers". Agriculture campaigner Genevieve Toop said if there was any move to revive the dam in future, "we would be right back in there trying to stop it". "There is no way that dam can ever be good for the environment. It will always mean more dairying and that will always mean more polluted rivers. We will always be opposed to it."